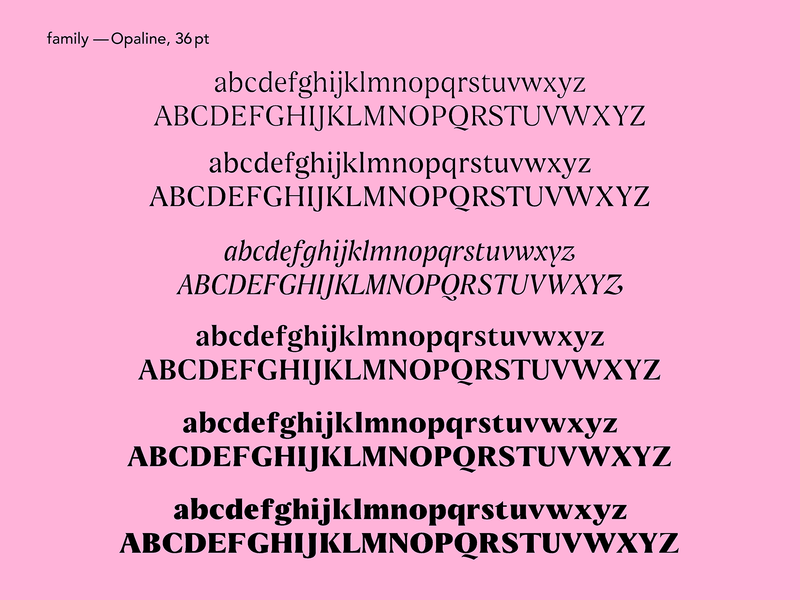 Opaline is a typeface designed in 5 weeks at TypeParis. 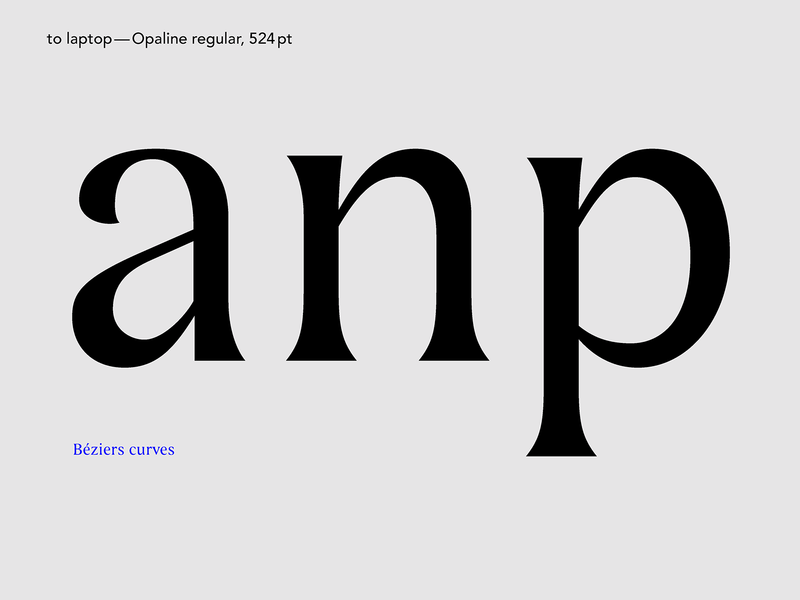 Opaline is graceful like a Didot and can be legible for body copy as well. 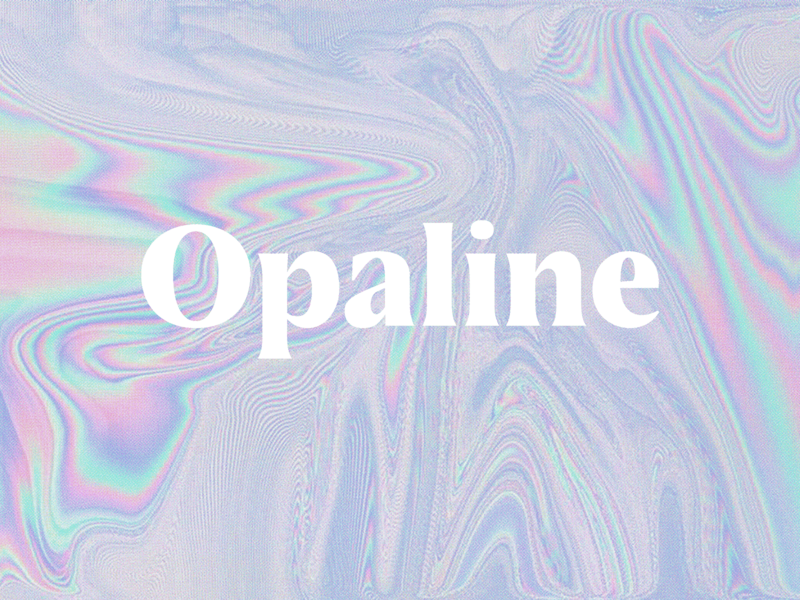 Opaline features flare serifs and a moderately high contrast. It could be seen as a latin typeface: mid ninety century style in use by Bibliothèque Elzévirienne. It’s can feel energic thanks to the n structure, meanwhile feel delicate, because of the flare serifs. Each serifs letters seems to be gently placed on the line thanks to the smooth curve and the pointed ending. I could say that the /Q/ is a characteristic letter of that typeface, to seems to be in weightlessness. 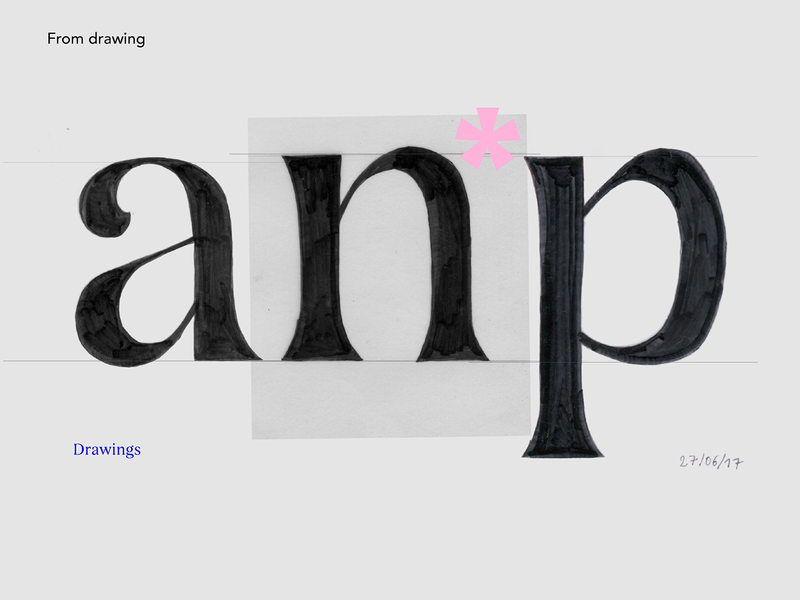 The letterforms are somewhat narrow, and save space on text settings. Be cautious, in very small sizes, the thin stroke could disappear, Opaline is more appreciable in medium text size even better for headlines. Designed with printing in mind but usable for screen as well. I started by my regular, then followed by a bolder version. Thanks to interpolation I created in Light, SemiBold, and Black as well. 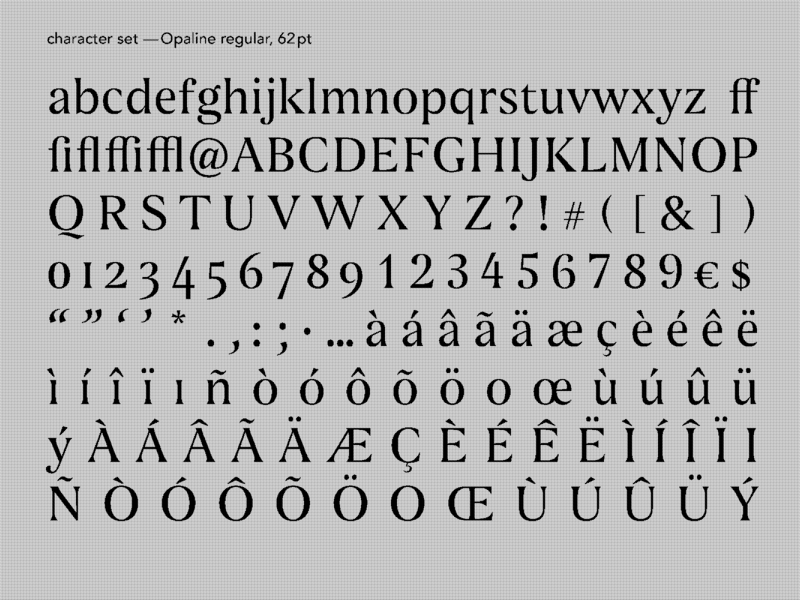 Opaline basic character set has a mix between triangular serif ending and bowl shapes. I would like always remember it two different origines. But it has also alternates to have full serif ending or all letters with bowl ending (as /a/c/j/f/r/s). So it contains three stylistic sets, the default and two others. For the italic version Opaline feature bowl ending and calligraphy shapes, with angular top of strokes (feature we don’t had in the regular version) and rounded v, w and specific y. 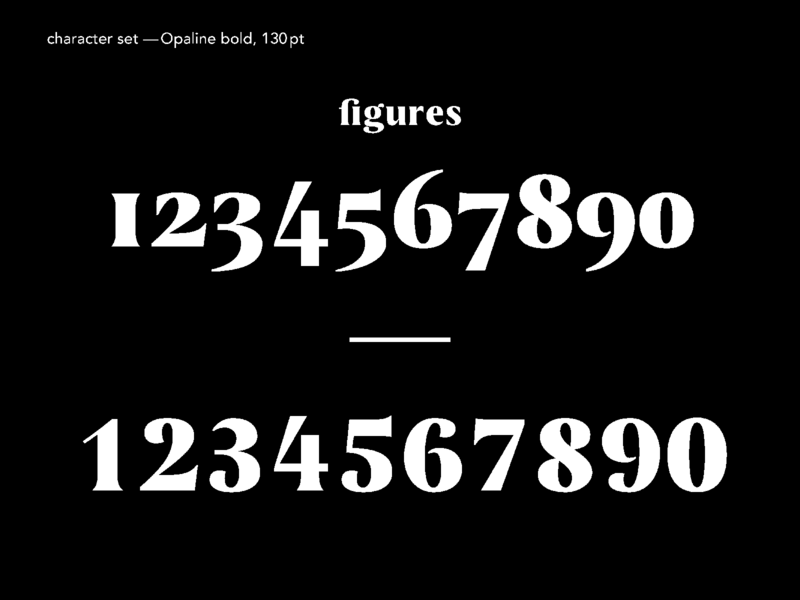 Display styles are part of my future plans for this typeface family. 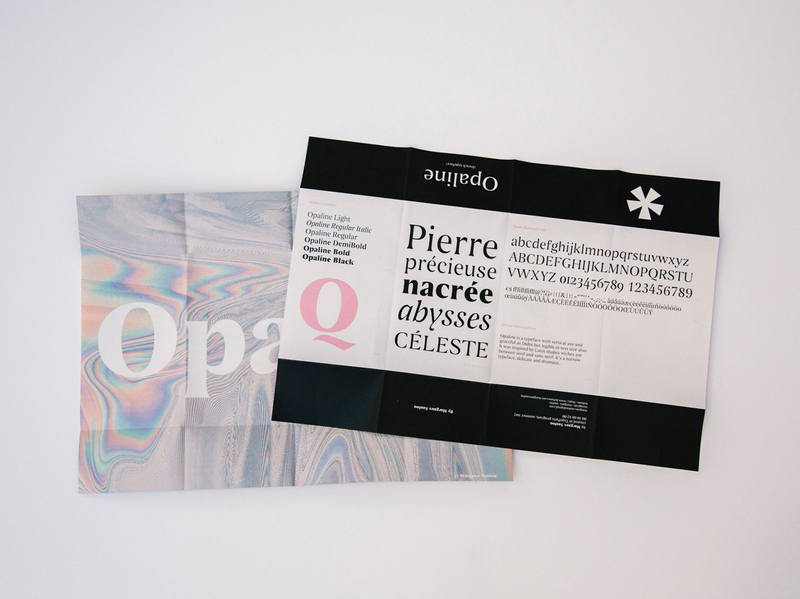 Before all, TypeParis was a fabulous human adventure. I really enjoyed the feedback from each teachers and each guests on my font. But I also understood that typography isn’t a science, we have to trust our eyes and listen our feelings to create something that we care about.